Fake news – a term much used in recent years – is neither new nor confined to purely ‘mainstream’ news. For a long time, it’s not been unknown for some job applicants to enhance their CVs (resumés) – and, to their cost, employers only discover this once the recruitment and selection process is over. By that time, it’s too late to re-think and appoint one of the ‘also-rans’ whose CV may well have been more accurate. Yet, while the growth of technology – especially social media – can be used destructively to promote fake news to a wide audience, judicious use of the internet can also provide valuable insights into job candidates and, potentially, prevent expensive and counter-productive recruitment and selection mistakes. Adam LeBor, the author and journalist, believes there are several ways to double-check the pristine resumés and social media image of potential senior hires. 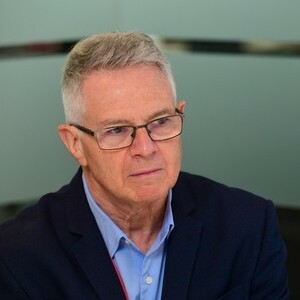 Writing for Financial Times | IE Business School Corporate Learning Alliance, LeBor says: 'HR leaders are often responsible for a company’s most important investment – its senior talent. 'CVs, recommendations and reputation provide a typical initial step for scrutiny. But first impressions from the candidate’s social media profile are usually tightly controlled by the applicant, and, as such, can hide a very different backstory. The HR manager dug deeper. The candidate had once worked for a company that went bankrupt in questionable circumstances. Did the candidate play a role? Although neither the company nor its website now existed, an internet archive called the Wayback Machine held screen copies of saved web pages. Knowing the year this job candidate had worked at the company was enough information to discover that he had been the company’s finance director. LeBor adds that another HR executive, who was headhunting potential hires, lost her access to the target company when her key contact had left without trace. It didn’t take long to find out who had replaced the executive in question, using Visualping.io – a free website monitoring service that alerts registered users to any change of personnel. Local google searches. In addition to carrying out the obvious advanced searches, using exact words, a combination of words, numbers, languages, regions and file types, and so on, it’s often worth doing a local google search, especially if your recruit is from another country. Local search engines, such as Google.fr, Google.es or Google.com.br, will bring up very different results in French, Spanish and Brazilian Portuguese respectively (and Google Translator will help you read it). In addition, you can search images, by installing the Image Search Options browser extension, right clicking a photograph then selecting ‘All’ on the pop-up menu to see where else the subject’s photo has appeared and with whom. The Wayback Machine. org is a searchable digital archive of some 335 billion saved webpages, dating back to the late-1990s. Though not comprehensive, it does include dead websites. Archive.org is another useful repository of web snap-shots. Other search engines. It’s worth searching for information on your job candidates using bing.com, qwant.com and/or yandex.com, as well as via the ubiquitous Google. Alternatively, Dogpile.com, a meta search engine, uses multiple search engines and collates results. If you don’t know which search engines are available in your market, Searchenginecolussus.com is a directory of local search engines and websites, organised by country. The Organised Crime and Corruption Reporting Project contains news and investigations, and a database of 115m public records and leaks from 200 sources. .org is a directory of website domain name ownership, including contact details for registrants and administrators. io monitors websites for changes (such as new personnel) and will alert you when they occur. Among other things, it’s a useful way to check on your competitors. Open Corporates provides free and open data on 135 million companies in 125 jurisdictions, based on public records. European Data Portal. This is an impressively extensive database of all EU open data, including agriculture, transport, government, environment, health, law and justice. UK Companies House. For UK-based recruits, it can be worth accessing this database of companies, officers, accounts, addresses, directors and their histories, as well as viewing the list of disqualified directors. It also has a Bankruptcy and Insolvency register. Other countries have their equivalents. The UK Government website has a list here. UK General Register Office (GRO). Similarly, for checking the basic facts, dates and stories of a potential recruit, the UK GRO contains records of births, deaths and marriage certificates. Pdf copies can be ordered online. Again, most developed markets will provide similar information on request. This article was written by Bob Little, author, blogger, commentator, speaker and publicist. Visit his website.